Powered by a solar cell, the MC-21 is a magnet contact switch. 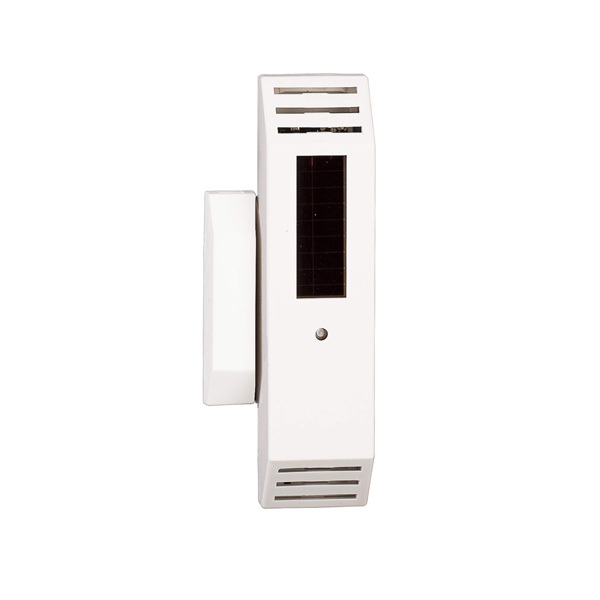 This device can be used to transmit window or door status wirelessly with no batteries. Rolling back temperature set points based on the window/door status or activating a lighting load when someone enters a room are just a couple of examples of the of the applications for this versatile device. With the simplicity of 'peel and stick' installation, providing elementary control to an office, hotel room or condominium is quick and easy while eliminating any disruption for the occupants.